Home / Back To The Future / Big / Big Trouble In Little China / Castlevania / E.T. / Music / Pat Benatar / Rick Springfield / Tetris / The Weekly Links / This Is Spinal Tap / Transformers / TV / The Weekly Links: Tony Hawk Rides Hoverboard, Tetris Business Card, Jedi Knight E.T. The Weekly Links: Tony Hawk Rides Hoverboard, Tetris Business Card, Jedi Knight E.T. 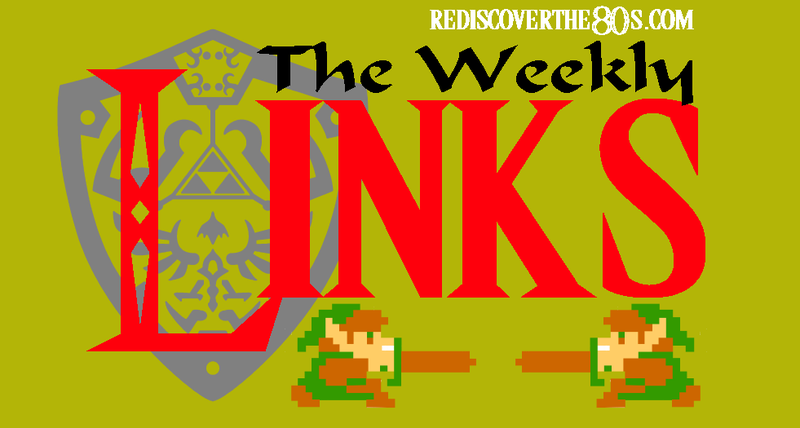 Another round of The Weekly Links is here! Good news this week, no '80s celebrities passed away...yay! But yesterday did mark 20 years since we lost John Candy. Wow, how time flies. I was a senior in high school in 1994 when the news broke and remembering being very sad. Even then I was a huge fan of films like Uncle Buck, Spaceballs, and The Great Outdoors. Had a blast putting together a post awhile back that ranked his top 5 film characters. - Been forever since I watched Spinal Tap. This was a great article celebrating it's 30th anniversary. - Great list of songs that you could've sworn reached the top spot on the charts. Would've put money on "Pour Some Sugar On Me." - I remember playing the original game on NES over at a friend's house and loving it. Some great facts here on the franchise. - Recently just found that SUE has been putting out mixtapes of great '80s rock and new wave for a long time. It's something I would love to do for RD80s if I had the time. Stream or download the latest mixtape featuring Crowded House, Devo, The Jam, and Thomas Dolby. - These treasure hunts through feature films are always fun. This time Shawn explores Big and finds over 20 goodies. - Talk about the wow factor when meeting with a potential customer. I bet the price tag per card would be enough to put yourself out of business though. 11 Television Homes We Always Wished We Could Live In - UnderScoopFire! - Many here from the '80s including my #1 choice which would be the Silver Spoons house. I'd never leave the rec room filled with arcade cabinets and Foosball. I'd also throw in Stringfellow Hawk's pad from Airwolf. Hard to top a cabin on the lake. - According to sources, one of the potential director choices is Chris McKay who did the recent Lego movie. Now that would get me excited for this potential train wreck of a film. - Always a sucker for these quizzes. My answers led me to Michael Jackson. - I'm not a huge comic book fan, but the fact that '80s properties are getting new tales is pretty cool. Chalk this one up along with the Knight Rider, Miami Vice, Airwolf, and other comics on the horizon. - This should be a fun little tour. Always glad to see '80s artists still on the road and giving back to their fans. - E.T., a Jedi knight? Somehow, this made sense to me. - So the viral video today is the new Transformers trailer. Have to admit, I'm anxious to see this film with Mark Wahlberg taking over for Shia LeBouf. Do you thing this movie will be a step in the right "direction" for the Michael Bay films?